I spend last Saturday with John in the office (see his blog). While we were running a 12 hour coding marathon to solve some pressing issues, it was snowing outside. 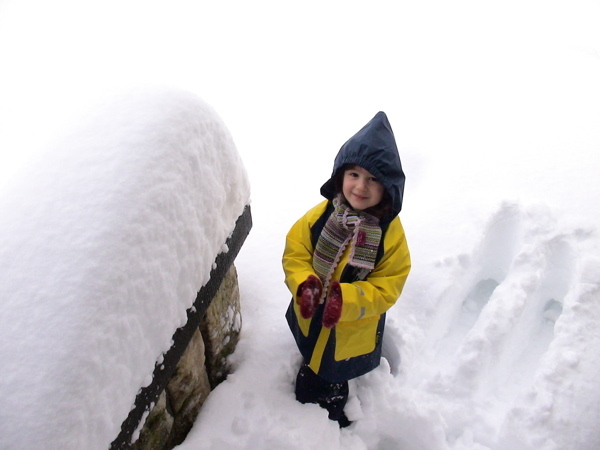 It was still snowing when we had some excellent pasta (delivered by Adriano on foot through the mounting snow outside). When I finally went home, it took 3 cooks and well over 30 minutes (instead of the usual 7 minutes) to get home. 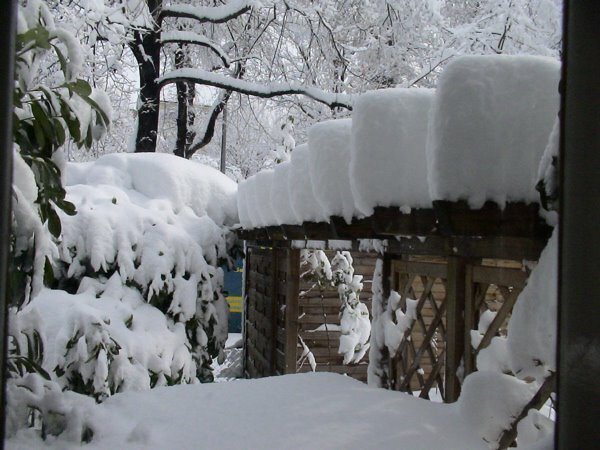 Within 24 hours, half a meter of snow came down on Basel - more then ever recorded. The sight was quite spectacular. So here are two impressions taken from my home. We had some great fun that Sunday and build a huge half pipe in the garden, which is still mostly covered in deep snow today.